Following the unfortunate boat incident that occurred on Saturday, the Lagos State Waterways Authority (LASWA) has summoned an emergency meeting with all commercial boat operators in the state on Tuesday, February 2, just as it vowed to clamp down on boat operators who continue to contravene the rules and regulations guiding their operations. In a statement signed by the Managing Director of LASWA, Mrs. Abisola Kamson, the meeting which will focus on the compliance of safety standards of vessels operating on the state waterways will hold at the LASWA office in Falomo Ikoyi by 9:30am. 'Despite efforts by the State Government to enforce the safety standards on the waterways, some boat operators still flout the rules and regulations thereby putting the lives of innocent citizens at risk'. 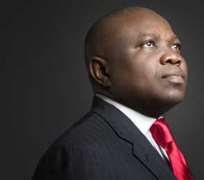 'The Lagos State Government will not tolerate the operation of substandard vessels on the waterways. Any individual or corporate entity found to be operating vessels not deemed water worthy will be prosecuted in accordance with the provisions of the law,' she said. Kamson who confirmed the boat mishap at Ibeshe, Ikorodu said the incident occurred at approximately 10:20am on a boat, Amen Limited, of Aki Marine Company belonging to one Mr. Akeem Balogun, which was travelling from Ijede to Badore East. She said although all passengers on the boat were wearing their life jackets, the covered design of the boat made rescue efforts challenging. Kamson said that survivors rescued were immediately taken to the Ijede General Hospital for treatment, while investigations are ongoing in collaboration with the Marine Police. The LASWA boss who was at the scene of the incident reaffirmed the State Government's commitment to ensuring all operators plying the Lagos waterways comply with safety standards to prevent future loss of life and property.